MUTED is concerned with the three dimensionality of the 'closed space', where a concept originates from my body, to reside within the minds and bodies of the performers where it is transposed into sound, to be in turn received through the bodies of the listeners. I have found myself aware of my female body as something more than just my own vessel. It is an architecture which can grow another, and this function takes place outside of my control. 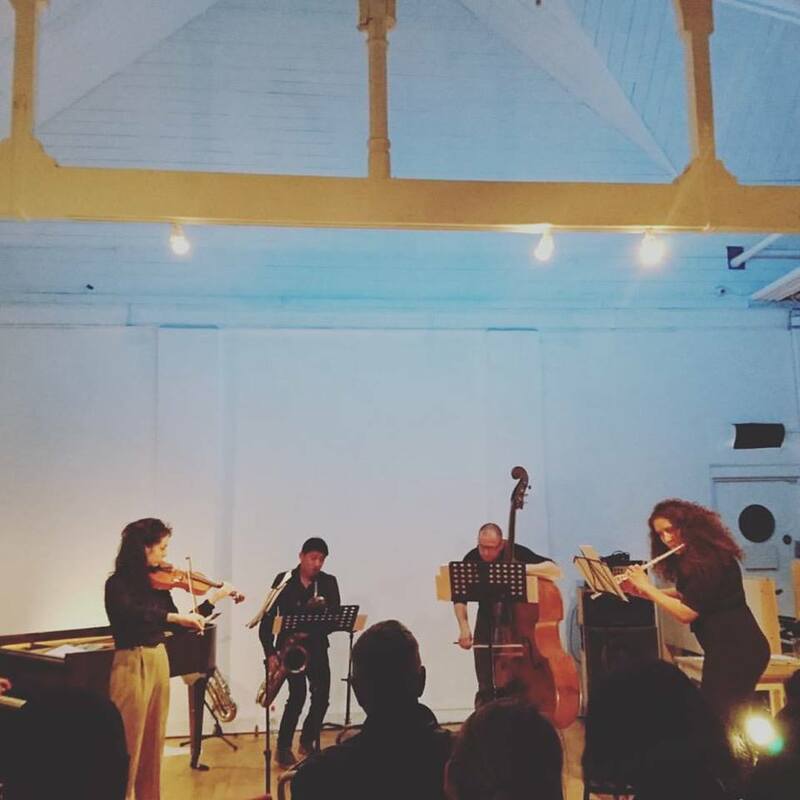 When Ensemble Entropy approached me, I immediately thought about the parallel of the unheard voice of the unborn, and the 'unheard' voices - dormant, in so many instruments. This open score addresses those sounds in spaces hidden and out of sight, by asking the performers to inhabit such spaces with their minds, and cry out (through their instrument) from isolation.